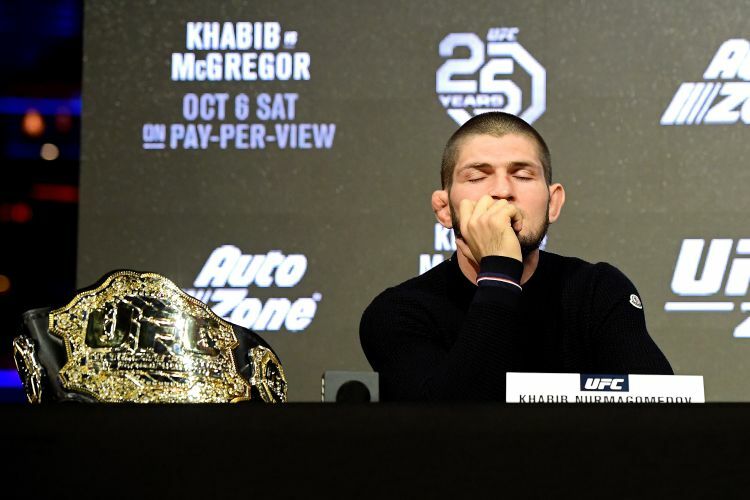 Both Conor McGregor and Khabib Nurmagomedov were fully aware of the fact that the only thing that would be resolved in the main event of UFC 229 was going to be who walked away with the lightweight title. 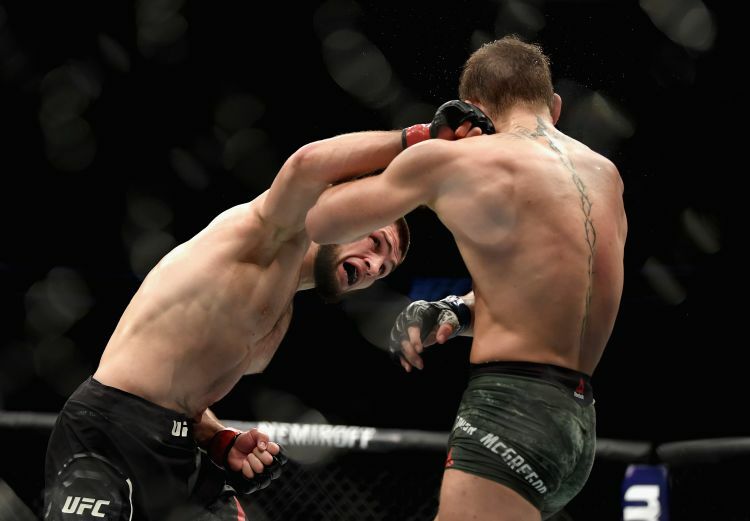 The fierce rivalry between McGregor and Nurmagomedov was never going to be settled over 25 minutes in an Octagon and the bad blood was always going to continue simmering after the final buzzer in Las Vegas&apos; T-Mobile Arena on Saturday night. 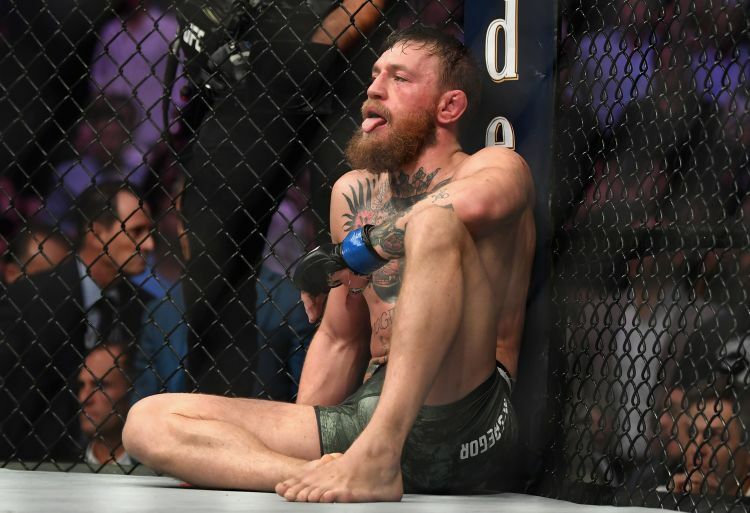 McGregor was mauled by the still-undefeated Dagestani before a fourth-round neck crank drew the tap and that&apos;s when the line between sanctioned fight and all-out brawl was hurdled by Nurmagomedov. 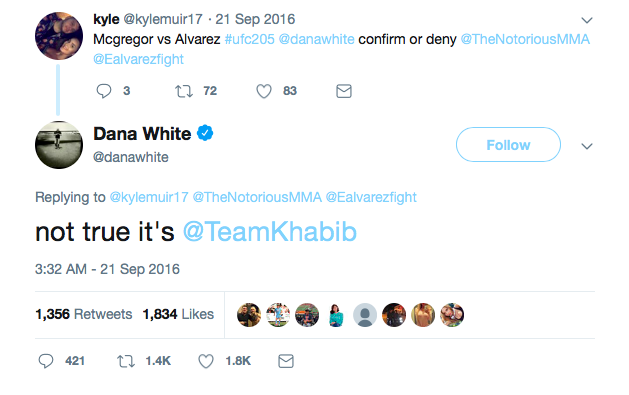 The camps clashed in a scene which Dana White summed up in his press conference comments - "It&apos;s the biggest night ever and I couldn&apos;t be more disappointed." Genuine hatred between fighters is a promoter&apos;s dream and a rematch, although unlikely to be immediate, is almost certain to take place. The feud between &apos;The Notorious&apos; and &apos;The Eagle&apos; has been years in the making and here&apos;s what led up to the frenzied fracas on Saturday night. 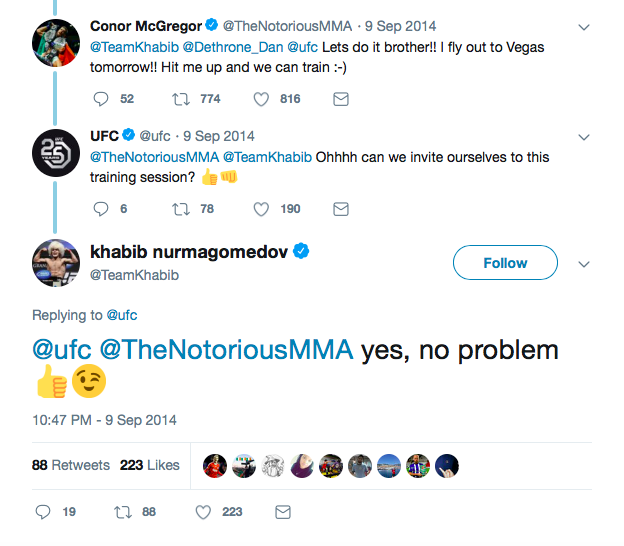 Ahead of McGregor&apos;s clash with Dustin Poirier at UFC 178, a friendly Twitter exchange took place between McGregor and Nurmagomedov, with the former offering to train with the Russian lightweight in Las Vegas. McGregor moved to 4-0 in the UFC with his first-round TKO victory over Poirier at the MGM Grand Garden Arena and with Nurmagomedov still in town despite his scheduled fight against Donald Cerrone falling apart due to injury, the pair posed for a photograph. Conor McGregor&apos;s powers of prediction played a large role in his meteoric rise to the pinnacle of mixed martial arts. It was during his promotional world tour with Jose Aldo that McGregor&apos;s personality really shone through for the first time as he made the step up from promising European talent to bona fide superstar. &apos;The Notorious&apos; was in the process of getting inside Aldo&apos;s head in the hope of wresting the 145lbs title away from the greatest featherweight of all time but McGregor knew that his own future lay at lightweight. McGregor was a monster at featherweight and put himself through some gruesome cuts to make the limit so he always had eyes on moving up and when asked who he expected to hold the 155lbs belt in the future, McGregor was in little doubt. 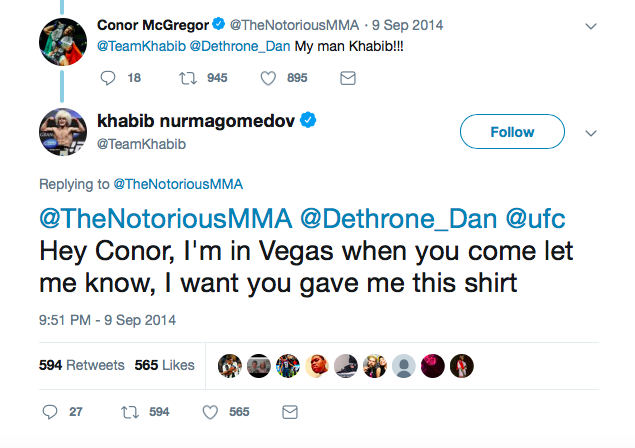 "I think Khabib will get the lightweight belt," McGregor prophesied in response to a fan at a press conference. April 2015 - "If he comes to 155lbs, welcome!" Nurmagomedov needed just a week to respond to McGregor&apos;s prediction and expression of a desire to move up in weight. 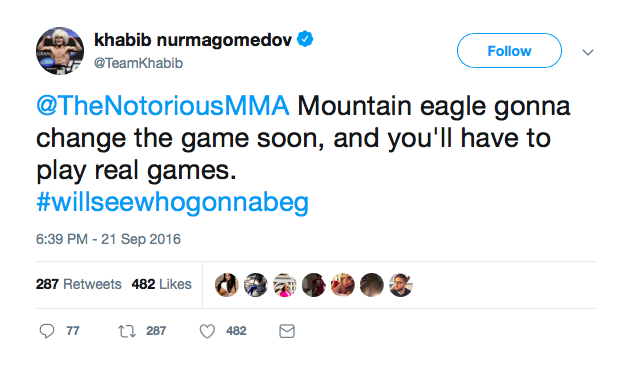 After giving his pick for the McGregor vs. Aldo match-up, &apos;The Eagle&apos; warned McGregor to stay away from lightweight for his own safety. "I like Conor McGregor but if he comes to 155lbs then in four minutes, I will smash him," Nurmagomedov said. "It would be no problem. He&apos;s an exciting guy and I like him. I think he can beat Jose Aldo, maybe finish him. A lot of people think Jose Aldo will beat him but, in my opinion, I think he kills him. "But if he comes to 155lbs, welcome!" McGregor required just 13 seconds to knock Aldo out in the main event of UFC 194 and that was the last time we&apos;ve seen him make the drastic cut to 145lbs. Immediately after becoming the UFC featherweight champion, McGregor set his sights on dominating the lightweight division. With Nurmagomedov sidelined with an injury, he had some advice for the Irishman when he spoke to Ariel Helwani on the MMA Hour in the wake of UFC 194. He said: "Right now, it&apos;s a very interesting situation in the lightweight division because Conor says he wants to come to the lightweight division. I think Conor has to stay in the featherweight division because if he moves to lightweight then people are going to say that he didn&apos;t do everything in the featherweight division because he hasn&apos;t fought Frankie Edgar." 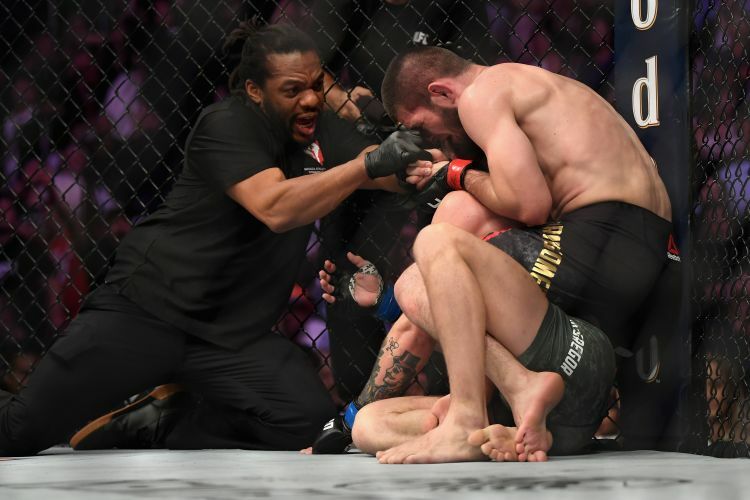 Sandwiched between Conor McGregor&apos;s pair of welterweight meetings with Nate Diaz was Nurmagomedov&apos;s first fight in two years. The Russian made a successful comeback against late replacement Darrell Horcher and threw his name right back into the title picture. After McGregor got his revenge against Diaz, he too set his gaze on the 155lbs belt and all of a sudden, the paths of &apos;The Notorious&apos; and &apos;The Eagle&apos; were aimed firmly at the same destination. 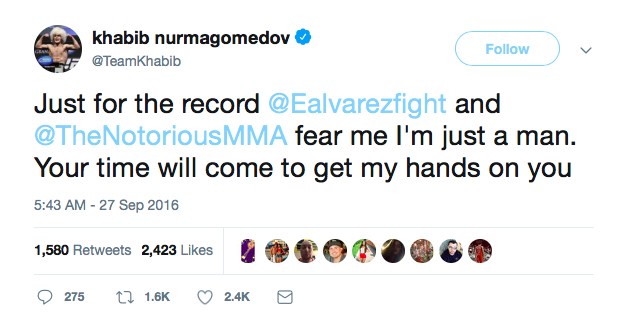 It was in August 2016 when Nurmagomedov made his case for a title shot by telling McGregor to get in line. And it was the very next month that the UFC stirred up confusion by claiming that Nurmagomedov, who said he had received two bout agreements but that then-champion Eddie Alvarez refused to agree to fight him, was getting the next title shot. 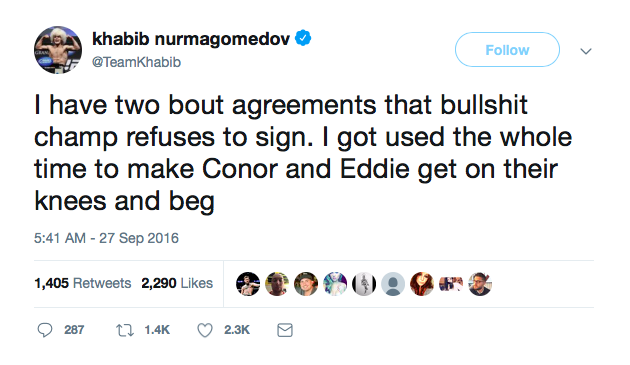 It was a contract ploy from the UFC to force Alvarez to accept less than he initially wanted to fight McGregor by using Nurmagomedov as a pawn. 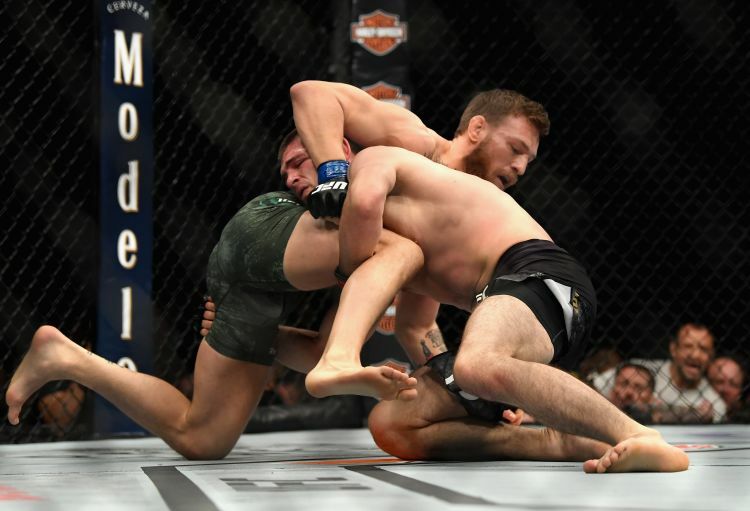 A new UFC lightweight champion was crowned when McGregor put on a striking clinic against Alvarez but many fans still considered Nurmagomedov the uncrowned champ when he submitted Michael Johnson earlier in the night on November 12, 2016. 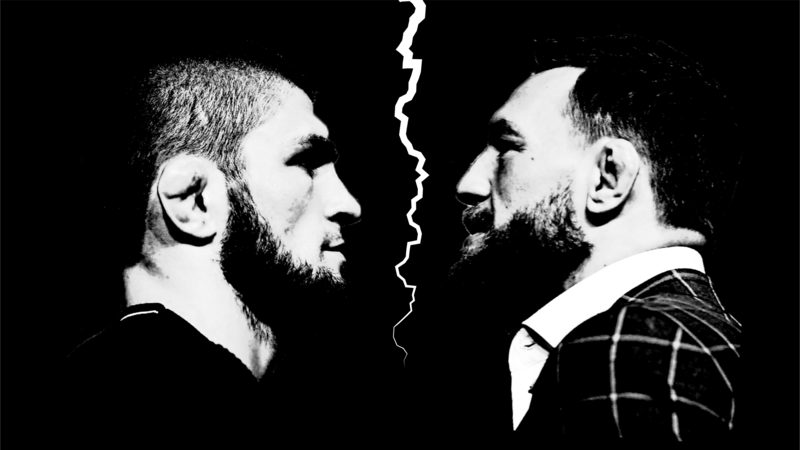 With McGregor and Nurmagomedov competing on the same card for the first time, there was always going to be some kind of incident and the pair clashed on the eve of the monster event in New York. 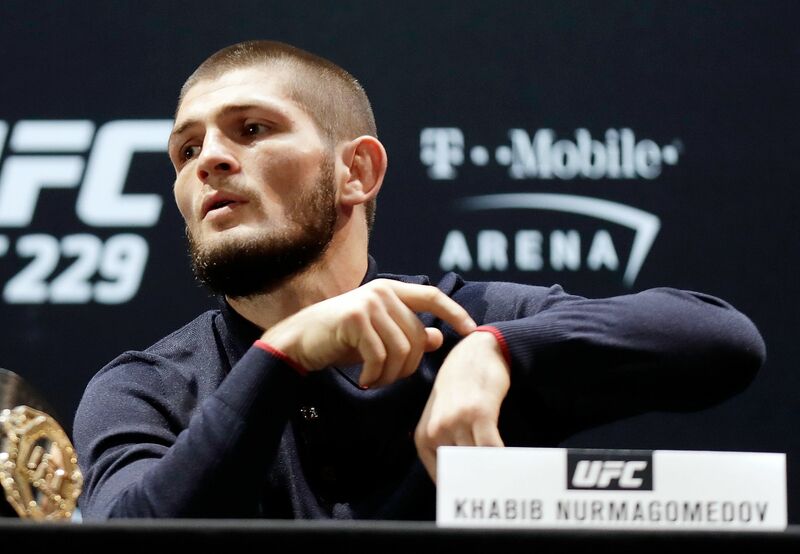 A shouting match ensued at the ceremonial weigh-ins and Nurmagomedov&apos;s manager, Ali Abdelaziz, explained what happened during an interview on the MMA Hour. 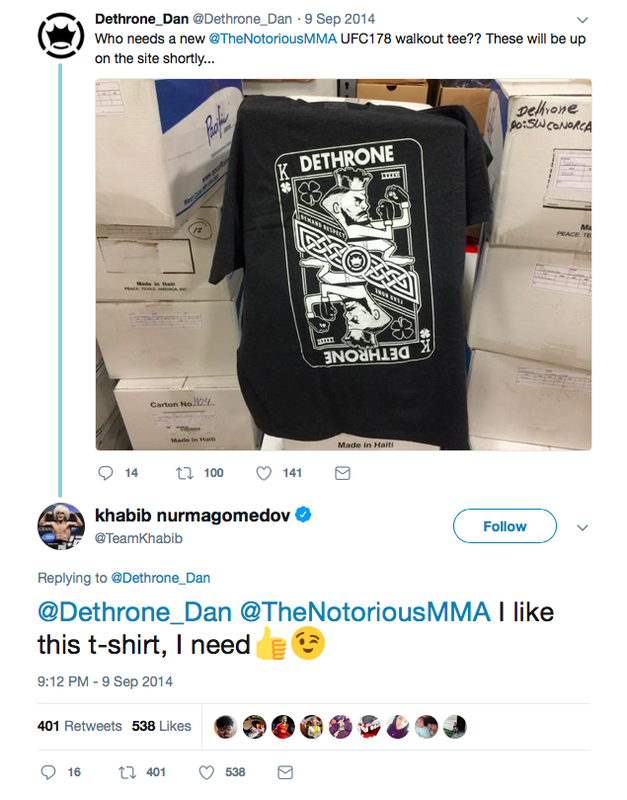 Abdelaziz said: "We were walking at the official (UFC 205) weigh-in - it was me, Khabib, Conor and his team. 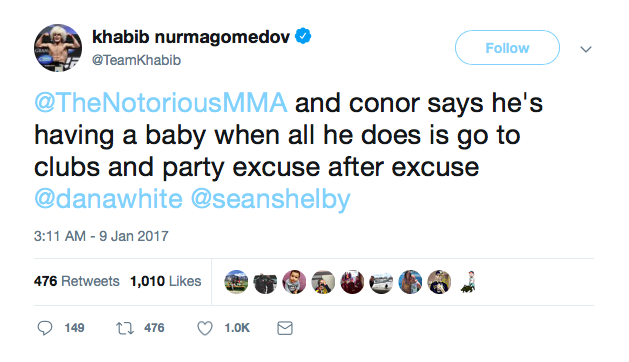 Conor was beefing with Woodley and after that we walked by and Conor starts saying, &apos;What! What!&apos; and Khabib ran straight to him and said, &apos;I&apos;ll smash your face, you chicken.&apos; I&apos;ll be honest with you, that&apos;s the truth." Having already caused something of a logjam at featherweight before he was forced to vacate, McGregor revealed that his girlfriend was pregnant with the couple&apos;s first child and he intended to step away from the Octagon for a while immediately after claiming lightweight gold. That didn&apos;t sit well with Nurmagomedov, who just wanted the chance to get in the Octagon with whoever held the title. The collision course slowed for the rest of 2017 as McGregor managed to convince the world that he was worthy of sharing the ring with Floyd Mayweather in his boxing debut. While McGregor was making millions, Nurmagomedov was forced to withdraw from another scheduled contest against Tony Ferguson due to complications stemming from his weight cut. There was very little dialogue between McGregor and Nurmagomedov for the majority of 2017 but that was about to change come the first sunrise of 2018. 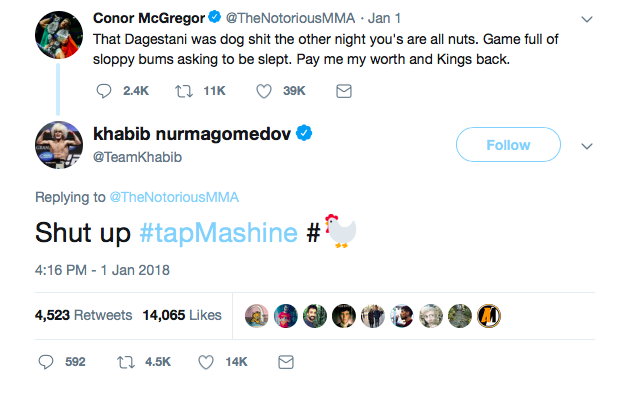 On New Year&apos;s Day, McGregor mocked Nurmagomedov for his performance in his comeback fight as he claimed a unanimous decision over Edson Barboza at UFC 219. The McGregor vs. Nurmagomedov feud transformed into something a gang war in April of this year, when UFC 223 became the catalyst for what would turn out to be the biggest fight in UFC history. Nurmagomedov couldn&apos;t have imagined a more dramatic week ahead of his scheduled lightweight title fight with Ferguson. Ferguson was injured the week before the bout and was replaced by Max Holloway, who was subsequently declared unfit to compete after struggling to make weight. 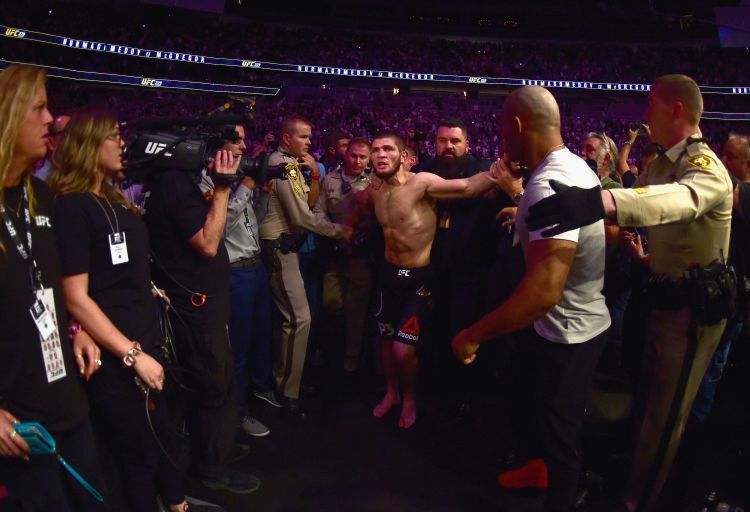 Al Iaquinta eventually accepted the short-notice bout and was bested over five rounds but it was the build-up to the UFC 223 main event that stole all the headlines. Days before fight night, Nurmagomedov confronted McGregor&apos;s training partner and friend, Artem Lobov, at the fighter hotel. Lobov was reportedly cornered by Nurmagomedov&apos;s crew and slapped by &apos;The Eagle&apos; and once McGregor got wind of the altercation, he hopped on the first flight to New York City. 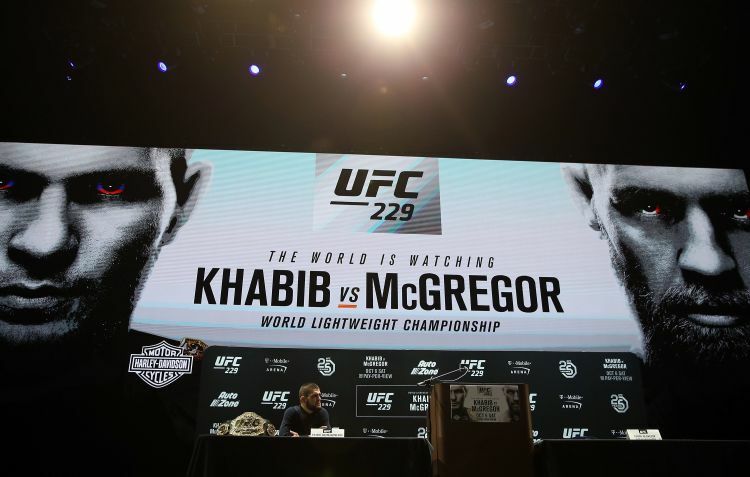 On April 5, McGregor and a group of his friends managed to sneak into the UFC 223 media day at the Barclays Centre and laid siege to a bus which was carrying Nurmagomedov and the other red corner fighters. McGregor turned himself into police but once a plea deal was agreed, he escaped felony charges and was sentenced to community service. On August 3, the UFC officially announced that the biggest fight in its history was scheduled for October. Both fighters entered training camp and several questions were immediately sent circling around fans&apos; heads. 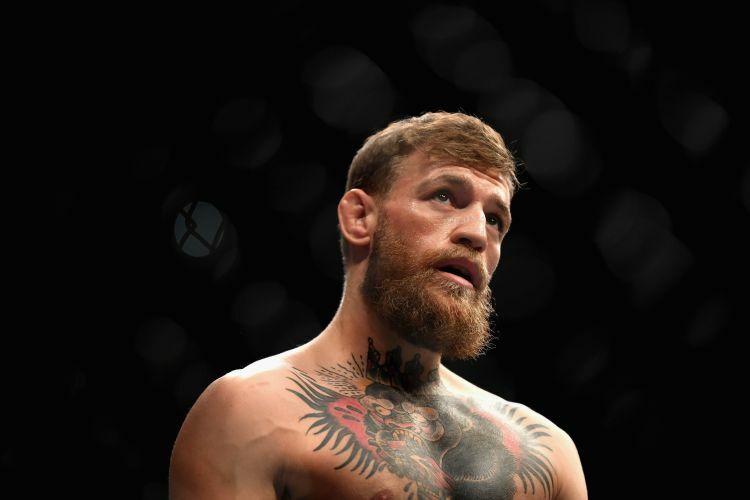 How would two years away from the Octagon affect McGregor? 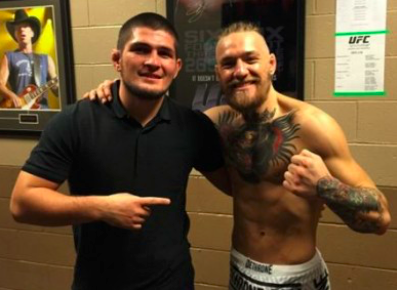 How would Nurmagomedov cope with McGregor&apos;s psychological warfare? Could McGregor fend off Nurmagomedov&apos;s takedowns? Could Nurmagomedov take McGregor&apos;s left hand? 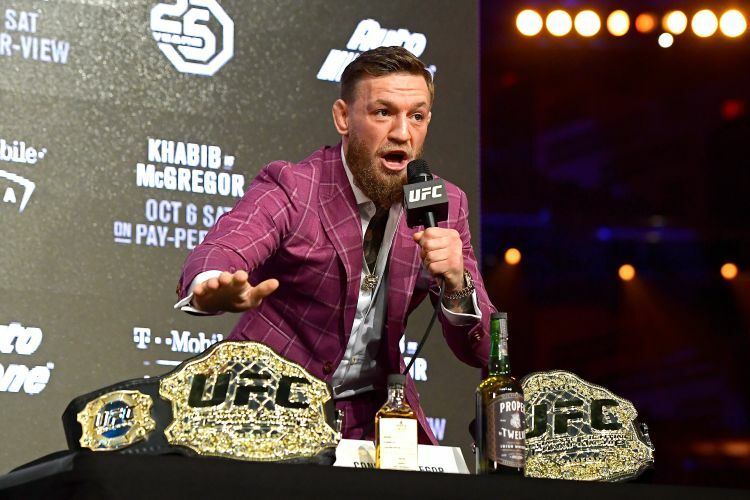 What was business up to that point became personal when Conor McGregor and Khabib Nurmagomedov shared the stage at Radio City Music Hall for the first press conference ahead of UFC 229. 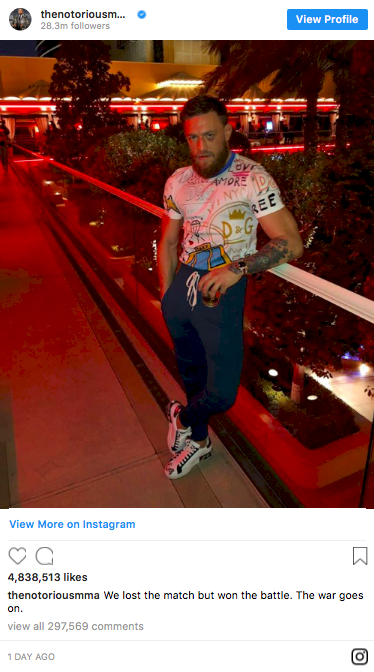 McGregor did his homework and discussed Nurmagomedov&apos;s ties to Russian oligarch Ziyavudin Magomedov and Chechen dictator Ramzan Kadyrov and branded his manager "a terrorist snitch". 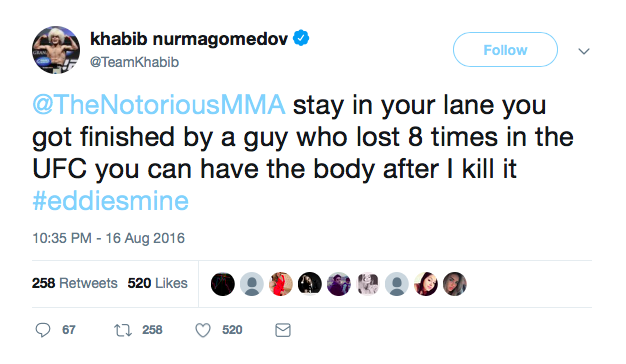 This came after McGregor had already taken aim at Nurmagomedov&apos;s father, Abdulmanap, and his teammate, Zubaira Tukhugov. 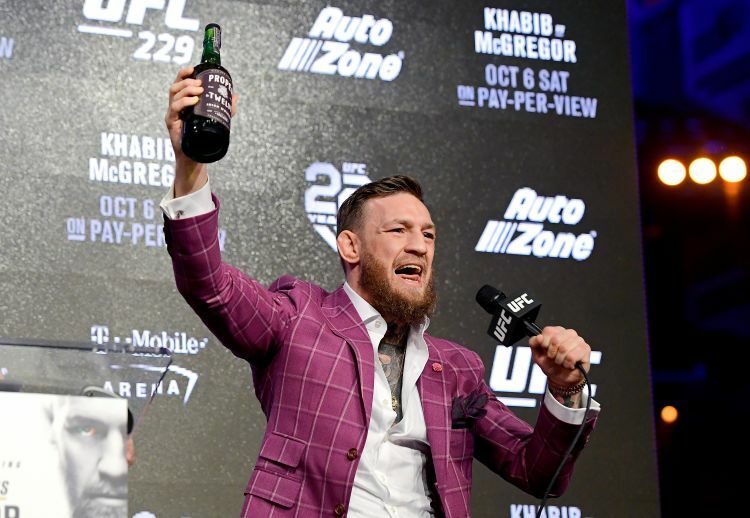 McGregor primarily treated the first press conference as an advertisement for his new whiskey, Proper 12, and feigned offence when Nurmagomedov, a practicing Muslim, refused the offer of a drink. The staredown left fans foaming at the mouth. 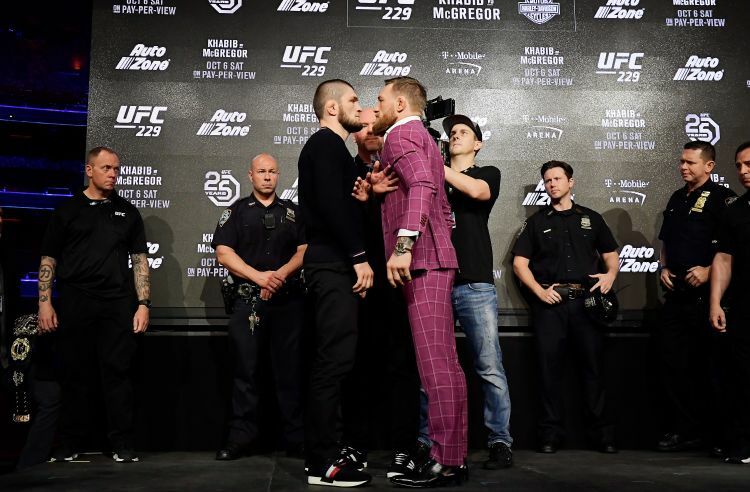 The second press conference didn&apos;t go to plan as McGregor showed up late and Nurmagomedov made the decision to leave after answering his questions so we got no repeat of the intense staredown until both fighters made weight. McGregor slapped Nurmagomedov&apos;s fists and attempted to kick him when the pair went head-to-head for the final time before fight night. 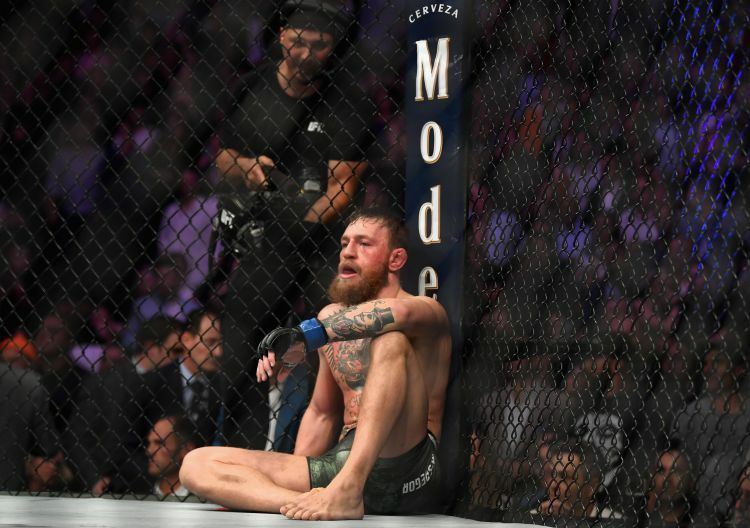 Up until 5.30am BST on Sunday morning, UFC 229 went off without a hitch. It was an incredible card chock-full of knockouts and TKOs with little controversy. But once the main men took to the Octagon, it was impossible to predict what was going to happen. Nurmagomedov dominated the early stages of the fight and was up 29-27 going into the fourth round. A neck crank forced McGregor to tap and as promised beforehand, there was no handshake in the moments after Herb Dean waved off the fight. Then it all kicked off. 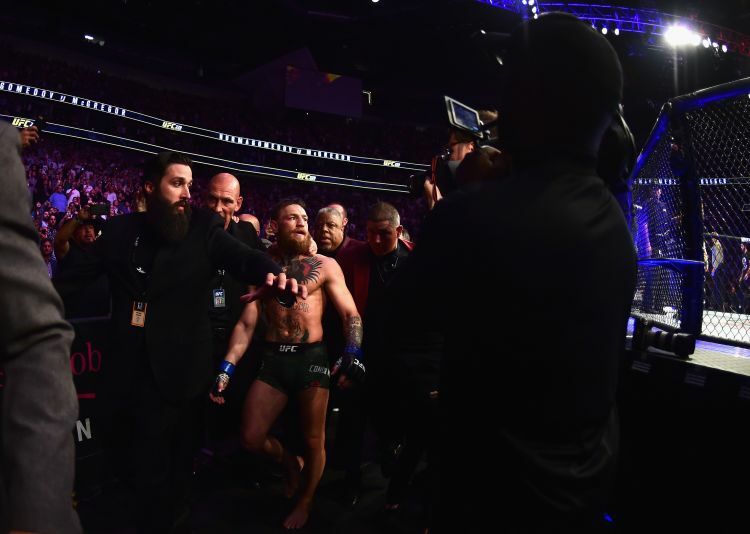 Nurmagomedov leaped out of the Octagon to confront McGregor&apos;s Jiu-Jitsu coach and McGregor attempted to follow. He made it to the top of the fence, where he exchanged punches with a member of Nurmagomedov&apos;s team. 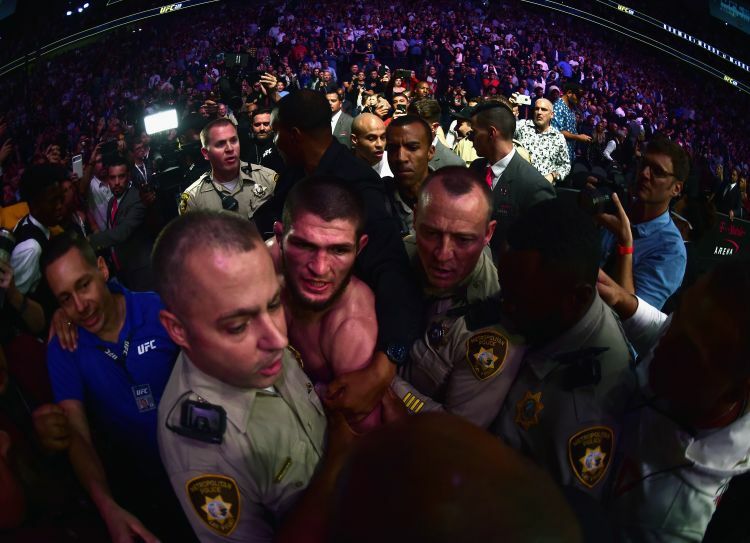 When he returned to the mat, McGregor was struck from behind by another individual from Nurmagomedov&apos;s entourage. 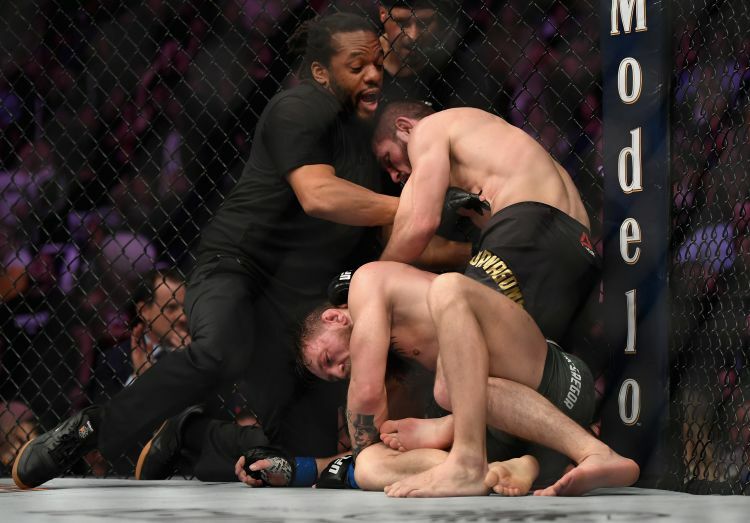 It was a horrid scene and one which will likely see both McGregor and Nurmagomedov hit hard in terms of fines and suspensions while the two UFC-contracted fighters involved in the melee, Zubaira Tukhugov and Islam Makhachev, are expected to be cut from the UFC roster. 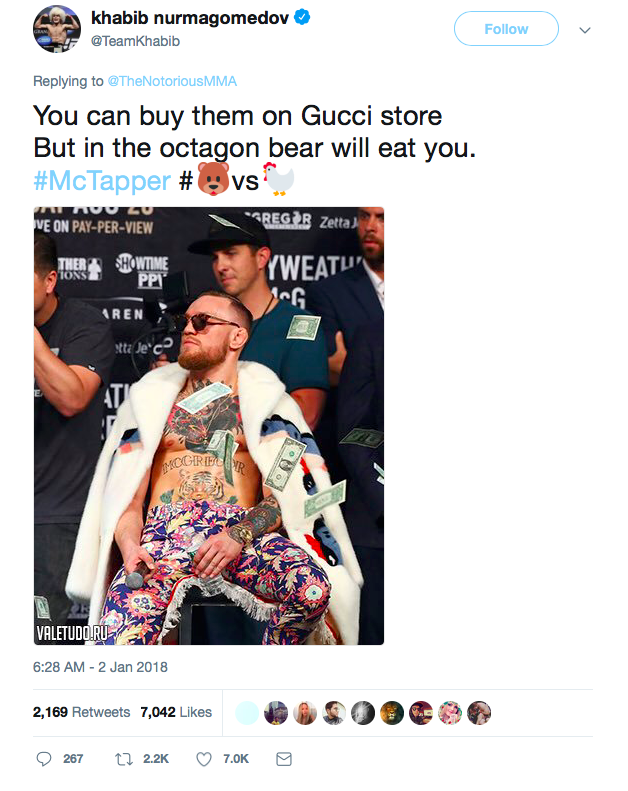 McGregor is already campaigning for a rematch, however, and don&apos;t think for a second that the UFC would take a moral stance by not using the footage of the post-fight brawl in the promotion of another fight between &apos;The Notorious&apos; and &apos;The Eagle&apos;. Money talks in the fight game and a rematch will almost certainly happen at some stage. The war goes on, after all.